R5 has officially announced South American tour dates for this December! 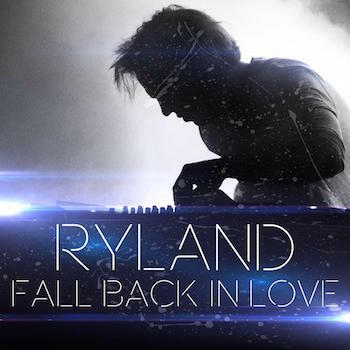 Pre-Sale tickets and VIP will begin Friday, 16 October on R5Rocks.com! How exciting! Will you be attending any of these new shows? R5 has officially announced 2 shows in Japan for January 2016! Ticket sales begin Saturday 7 November 2015! Click here for full details. How exciting! R5 Family in Japan, will you be attending any of these shows? A very happy 22nd birthday to the one and only Rydel Lynch! You are a hard working, talented person with a big heart and a caring and creative personality. May you have a wonderful birthday filled with lots of love and memories with many more to come! 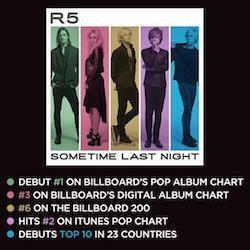 R5's second full length album 'Sometime Last Night,' which released July 10th, debuted on the top charts, including Billboard's Pop Album Chart! We're super proud of this and it is all thanks to you! Thank you R5Family for your continued support for R5! Be sure to tell your friends and download the new album now from iTunes! 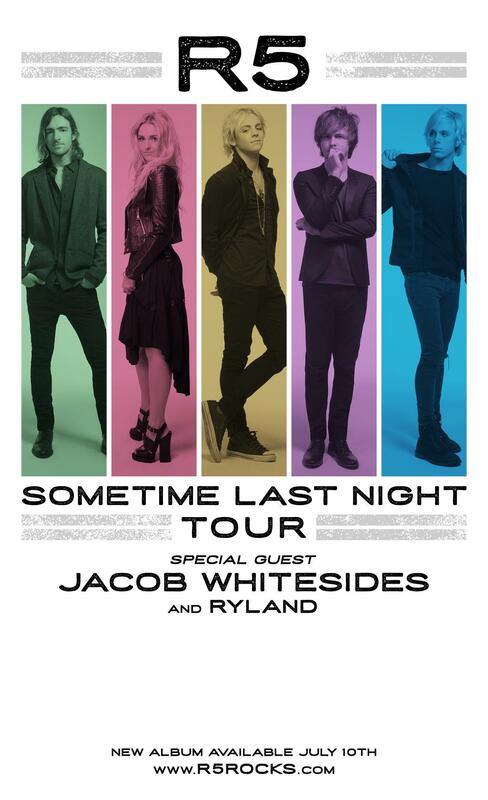 R5 has officially announced more US tour dates for this Summer and early next year! Pre-Sale Codes will be sent out to Fan Club members for the exclusive Fan Club pre-sale beginning Wednesday, June 17th at 10am local time. Venue pre-sales will begin Thursday, June 18th and general on-sales will start Friday, June 19th. ZinePak also announced that an exclusive ZinePak R5's new upcoming album 'Sometime Last Night' now available for pre-order exclusively from Wal-Mart! 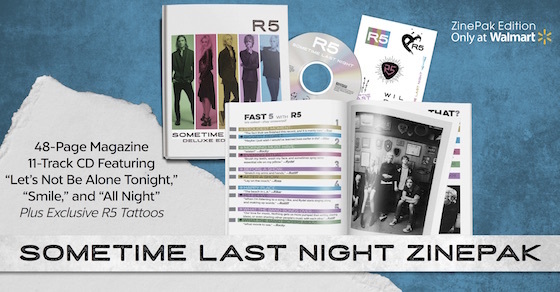 The ZinePak will include the new album, a 48-page magazine, and collectable merchandise items including R5 tattoos! Click here to pre-order your copy now! How exciting! Will you be attending any of these new shows? Be sure to pre-order your copy of the new ZinePak today!